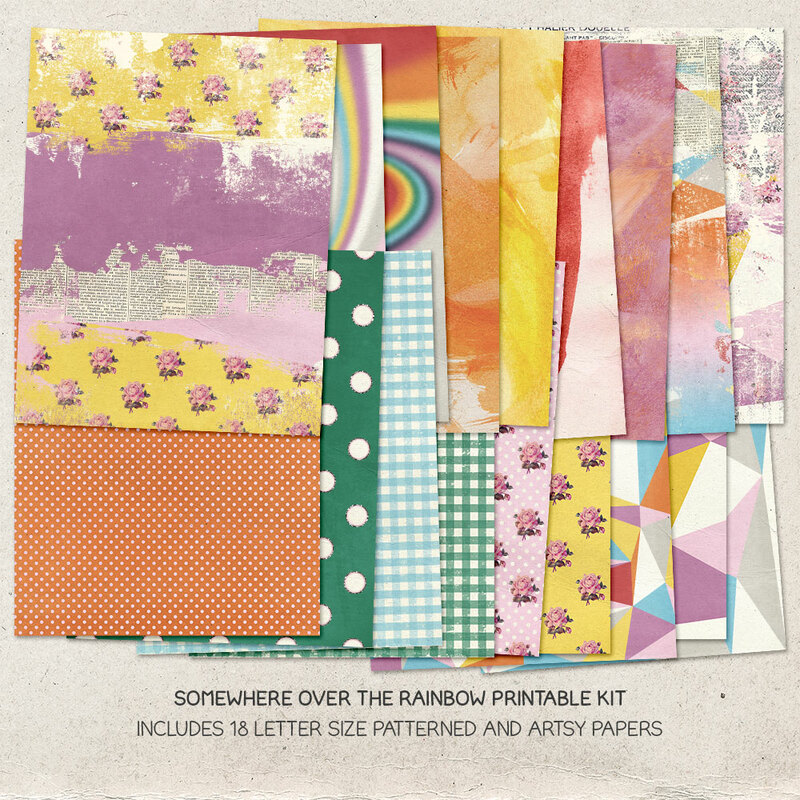 If you are a hybrid scrapper or paper crafter, if you love making (junk) journals, albums or notebooks, then is the perfect pack for you! 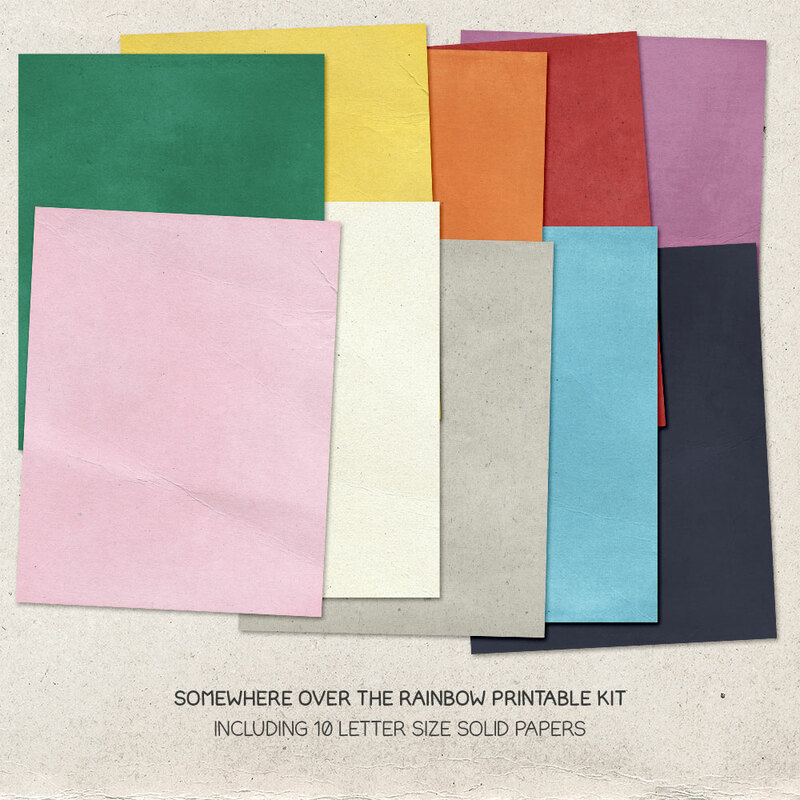 The letter size papers and embellishment sheets are ready to print from your own computer and you do not need Photoshop or any other graphic software to use them. 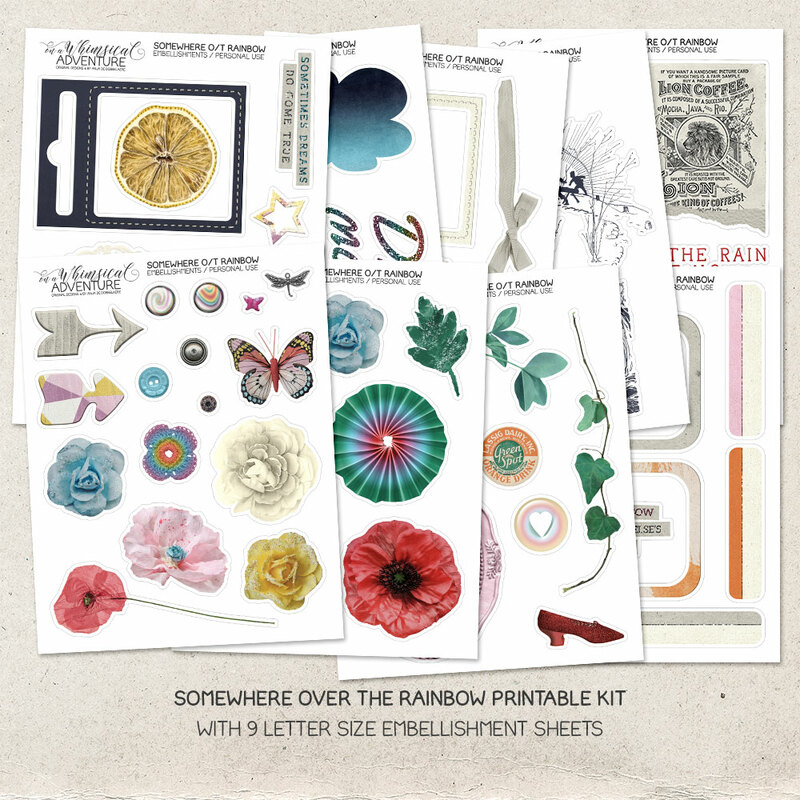 The embellishments have been made up as 'stickers' with a white edging and a thin dark gray line around them, and with enough room, allowing you to easily cut around flowers, foliage, illustrations, stamps and so on. 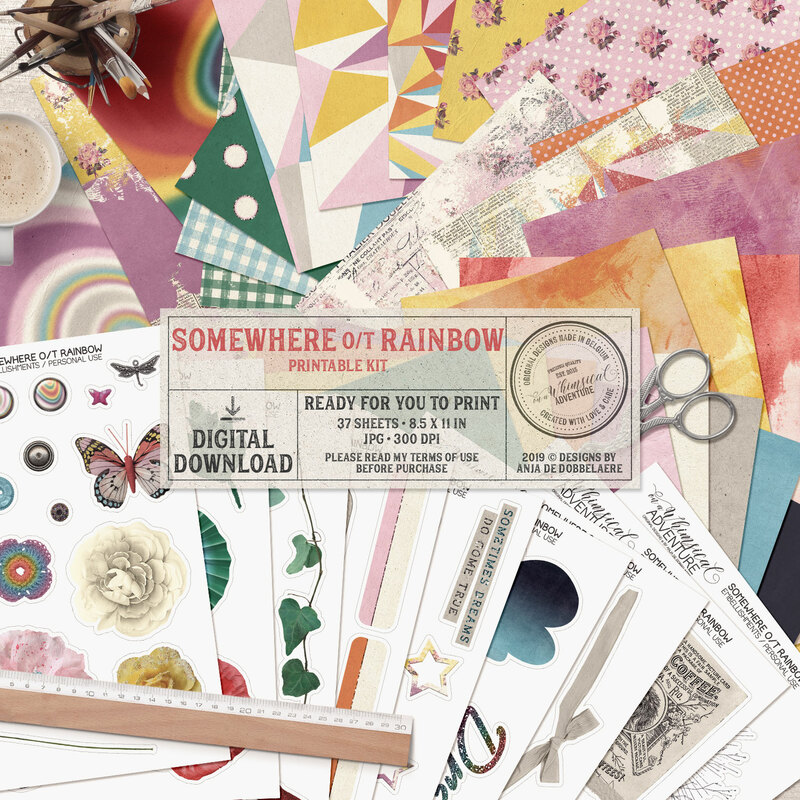 'Somewhere Over The Rainbow' is a digital scrapbooking collection inspired by The Wizard Of Oz and the story of Dorothy Gale who escapes the gray sadness of the world to find a place where everything is beautiful, colorful and magical. Everything was created in a muted rainbow color scheme. Even though themed around the story of the Wizard Of Oz, the collection is versatile enough to document more general themes such as the happy moments in your life, the unforgettable memories and all that is good in this world. - 9 sheets with embellishments 8.5 x 11 in (9 JPG files).